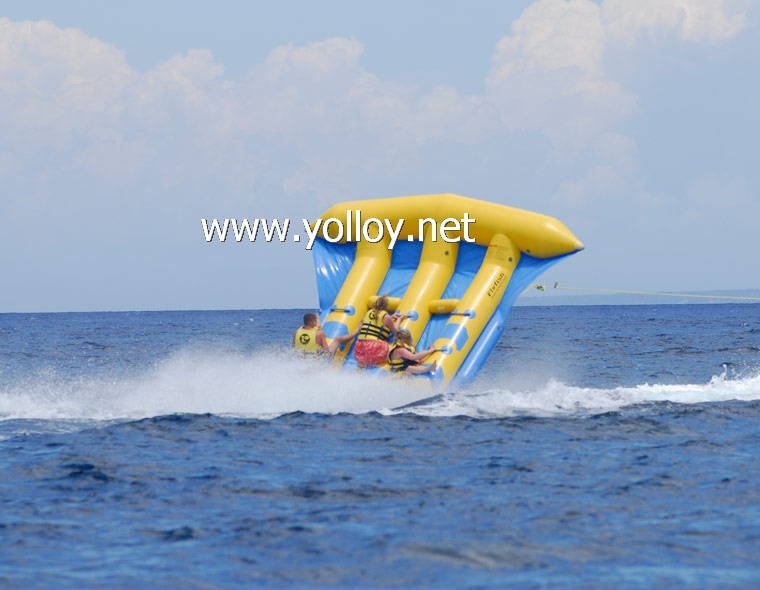 The inflatable flying fish boat is applicable fashion used on the beach sports, Material we used for this boat is 0.9mm 32.8 OZ PVC tarpaulin, which is durable, UV-resistant, fire retardant and 100% waterproof. The structure is sealed with a lot of handles which you can drag it behind the yacht to have exciting water sport experience. The second picture is the view of bottom boat, some D rings on it can fix the fly fish boat to the motorboat for surfing, like picture 3. Have fun with fly fish boat on the ocean!